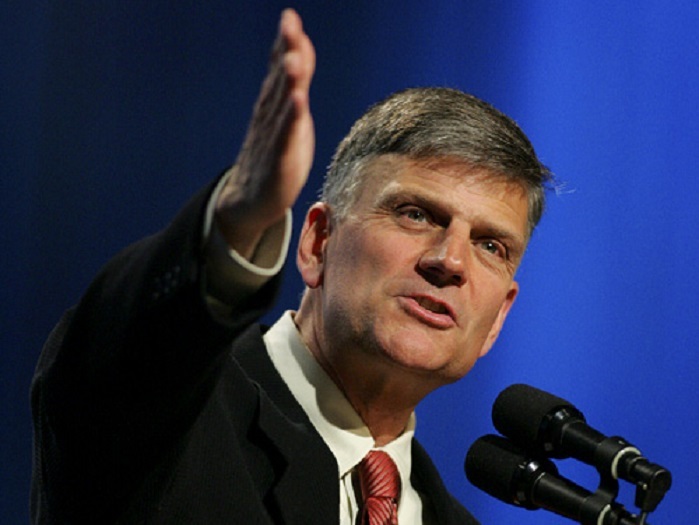 Protestant leader Franklin Graham called out an Oregon business Tuesday for creating an ice cream flavor to celebrate the legalized killing of unborn babies. Graham, the son of the late evangelist Billy Graham, said abortion activists are “absolutely frantic” about President Donald Trump appointing a second conservative justice to the U.S. Supreme Court. The shop, What’s the Scoop, is selling the ice cream to raise money for NARAL, a radical pro-abortion group that supports abortion for any reason up to birth and attacks charities that offer pregnant women choices other than abortion. People who buy pints of the flavor through Aug. 26 will “help defend reproductive freedom,” the pro-abortion group wrote on Twitter. The organization said half of all sales will go to NARAL’s Oregon chapter. Graham called the partnership a “disgusting” attempt to trivialize life and death. It appears that many share his disgust. The flavor has not gone over well. The NARAL post had just a few dozen “likes” on Twitter, compared to hundreds comments, most of which express disgust at the sweet treat being used to promote the killing of unborn babies. Similarly, on What’s the Scoop’s Twitter and Facebook pages, its recent posts have very few “likes” and dozens of comments in opposition to its abortion advocacy. Three years ago, the same shop promoted the abortion giant Planned Parenthood with another custom ice cream flavor, Taste of Victory. NARAL and the Portland business support the legal killing of unborn babies for any reason up to birth. Since 1973, about 60 million unborn babies have been legally killed in abortions as a result of Roe v. Wade and its companion case Doe v. Bolton. These two cases allowed abortions for basically any reason up to birth, making America just one of seven countries that allows elective abortions after 20 weeks. If evil is not killing the most innocent, vulnerable human beings on earth, what is?